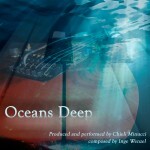 Great reproduction of the original song, “Oceans Deep”, from the CD, I.P. Network, by Inge Wenzel. Produced and performed by Chieli Minucci, triple Emmy winner for TV and Film, 10 nominations and guitarist/bandleader of the group, Special EFX. Click on the cd cover photo to purchase this song! Great smoothjazz by Inge Wenzel with national and international guest artists. For sale with CDbaby or contact Inge at this website. First CD with compositions from Inge Wenzel played by the group Out of the Box. 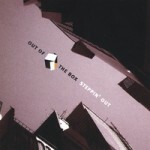 A mix of smooth jazz, funk and r&b, right from the Netherlands. All songs are own compositions, inspired by great contemporary saxophone and keyboard musicians.